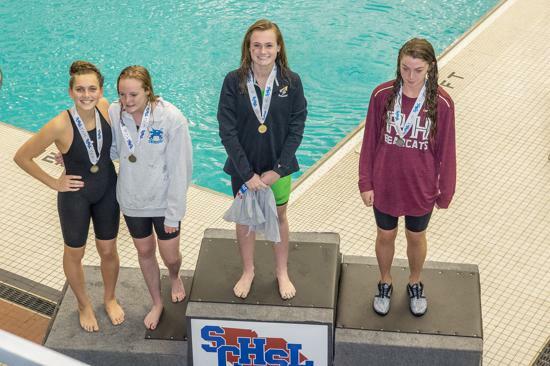 Congratulations Sara Greene! 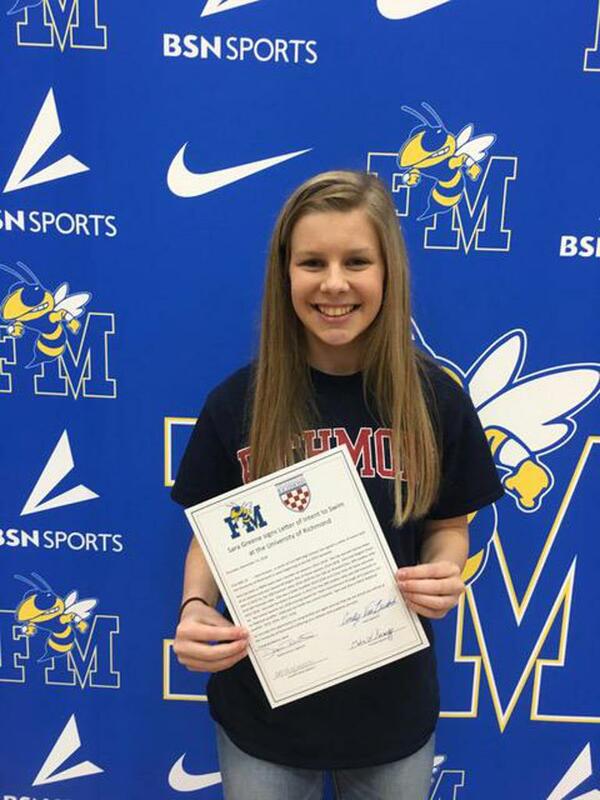 2019 graduate will swim for the University of Richmond!! 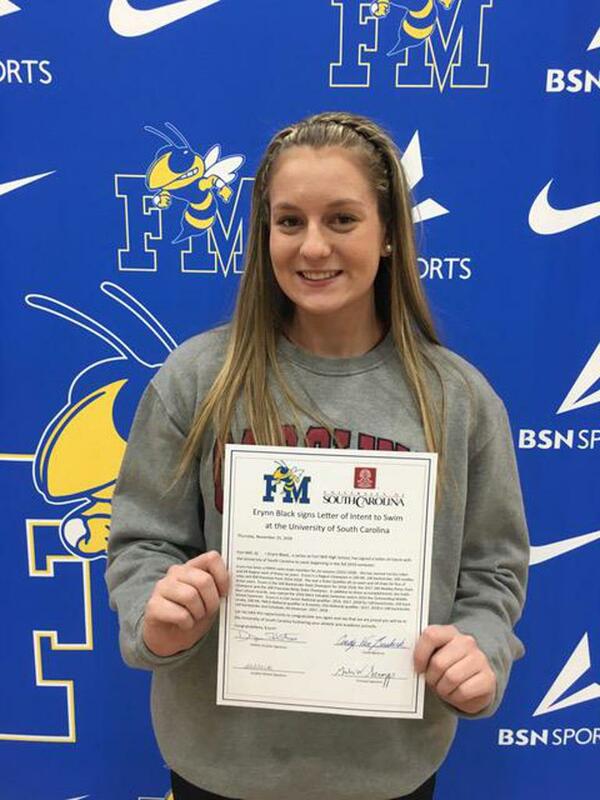 Congratulations Erynn Black! 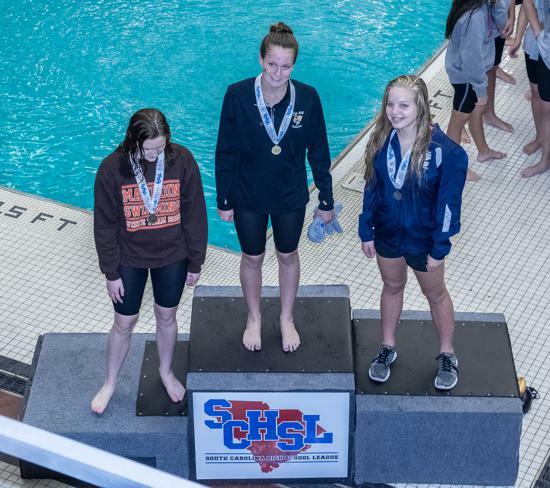 2019 graduate will swim for the University of South Carolina!! 2019 Graduate, Jake Bohland has signed to swim for West Virginia Wesleyan!! We wish you the very best!! CONGRATULATIONS SWIMMERS ON A FANTASTIC 2018 SEASON!!! BOYS TEAM: 2018 5A STATE TEAM SILVER MEDALISTS!! GIRLS TEAM: 2018 5A STATE TEAM 3RD PLACE!! 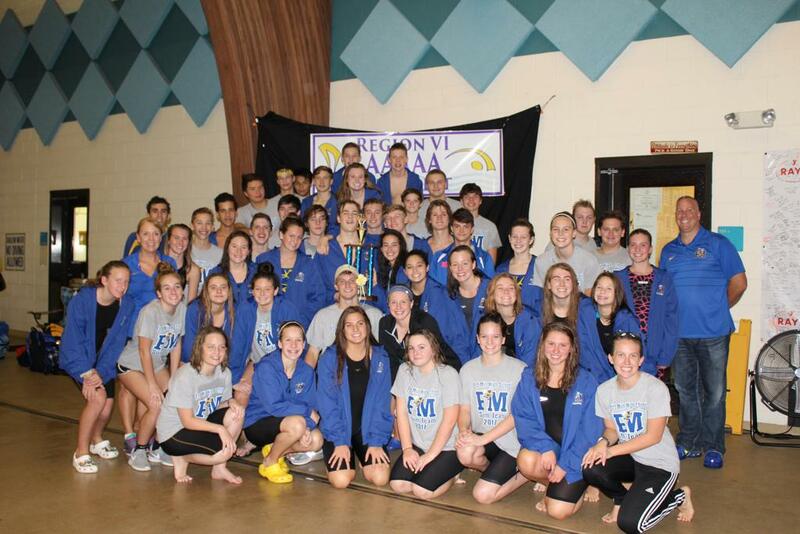 BOYS AND GIRLS TEAM: REGION CHAMPIONS FOR THE TENTH YEAR IN A ROW!! A HUGE SHOUT OUT TO OUR 2018 STATE CHAMPIONS!! CONGRATULATIONS TO OUR 2018 5A STATE CHAMPIONS!! Congratulations swimmers on a fantastic 2017 season!! CONGRATULATIONS TO OUR 2018 GRADUATED SENIORS!!! BEN FENWICK AND OWEN CORKERY SIGN TO SWIM IN COLLEGE!! 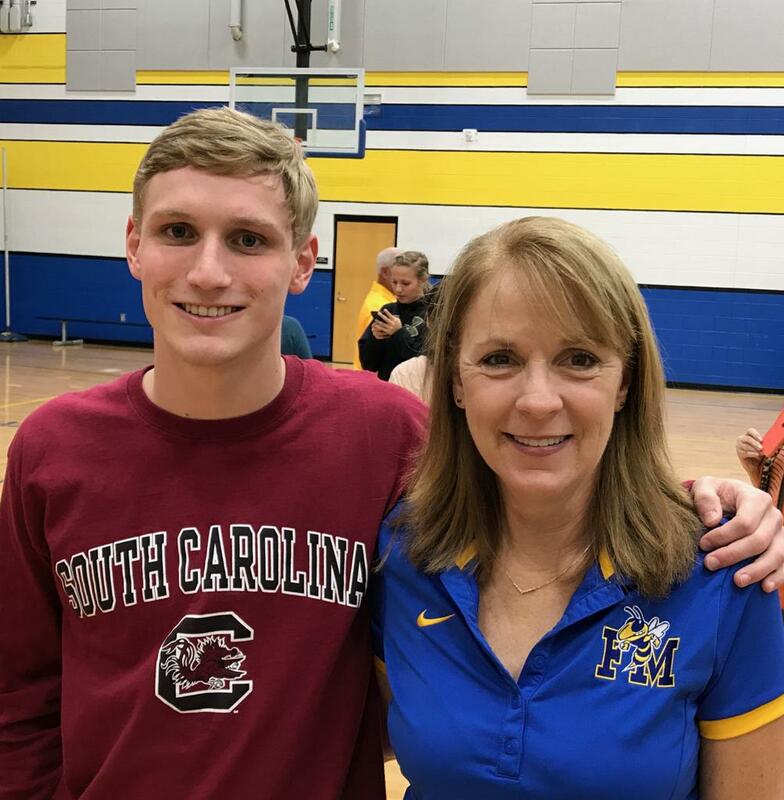 CONGRATULATIONS TO BEN FENWICK, WHO HAS SIGNED WITH THE UNIVERSITY OF SOUTH CAROLINA TO SWIM FALL, 2018!! CONGRATULATIONS TO OWEN CORKERY, WHO HAS SIGNED WITH DAVIDSON COLLEGE TO SWIM FALL, 2018!! Congratulations Ben!! Good Luck at South Carolina! Congratulations Owen!!! Good luck at Davidson!! A huge thank you to the Upper Palmetto YMCA and Tim Conley for lending Nation Ford and Fort Mill additional lane lines for our meets!! Congratulations to Coach Cindy on being named coach of the year! 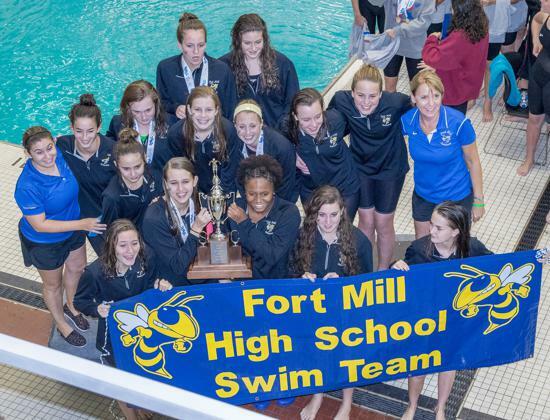 Read more in the Fort Mill Times.